At University District, gaining more time to enjoy the finer things in life is part of our vision for residents. Time to spend with family, time to spend in the great outdoors, or just time to yourself. And there’s something very satisfying about taking a breath and relaxing for just a little while with a hot, steaming pot of tea. It’s welcomed at any time of day, especially during Calgary’s cold winter months. From the rich morning tradition of Irish breakfast to winding down with chamomile and a drizzle of honey before bedtime, tea has a magical way of improving moments and moods. 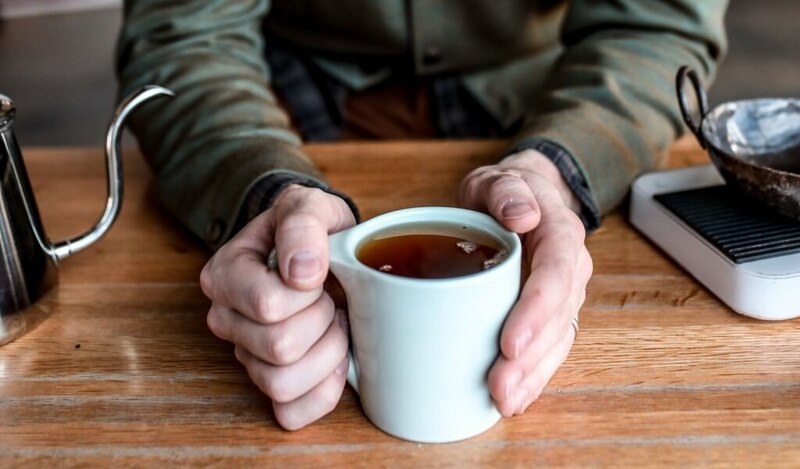 Sipped solo or shared with friends, tea time is me-time and allows us to simply and naturally savour life. 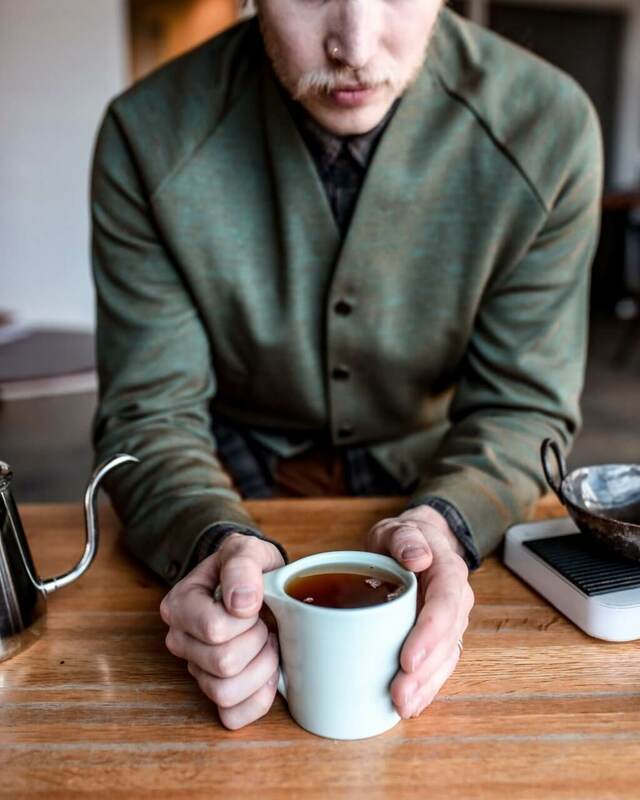 Helping us become tea connoisseurs, Russ Prefontaine, president and co-owner of Fratello Coffee Roasters and Analog Coffee, University District’s partner retailer, sat down with us to chat about the art of brewing tea just in time to celebrate Hot Tea Month in January! Is it really as simple as dropping a tea bag or loose tea infuser in hot water? Of course not! Do you drink it black or milky? Straight up or sweetened? For a fully European experience hear what Russ suggests to enjoy this delicious beverage that can warm your heart and body, and free your mind. Where did Analog Coffee get its start? How did their story begin? 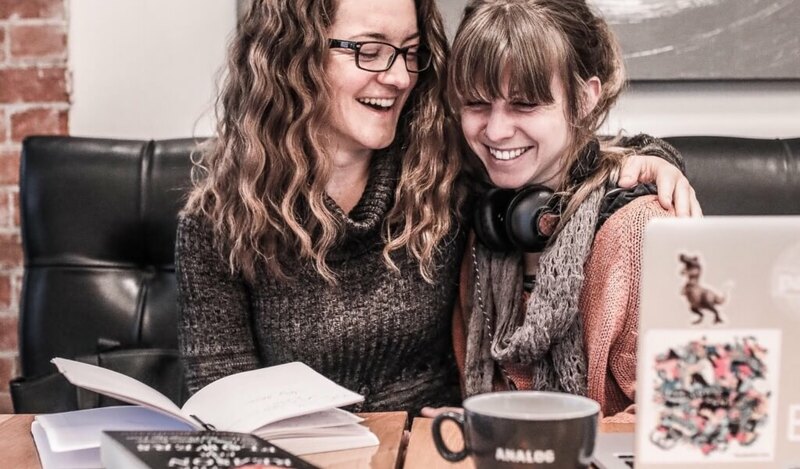 We sat down with Russ and Chris Prefontaine from the Analog Coffee team to speak about their roots and their latest addition to U/D. Click here to see what they had to say! Early morning wake up call: Earl Grey black tea. Whether you love it or are yet to be converted, Earl Grey tea offers a unique and tasty floral flavour with its distinct lemony and grapefruit citrus undertones. What most don’t know, is this quintessentially modern English tea has origins that actually stem from China! Since Earl Grey is made with a black tea base, it has enough caffeine to boost your energy levels, giving you a fresh start to your morning routine! Afternoon pick me up: Jasmine green tea. We’re all prone to it: that afternoon slump at the office. You know, when 3 o’clock rolls around and you’re ready to lay your head on your desk. Next time you feel that sleep urge kick in, curb the lull with a perfectly steeped cup of Jasmine green tea for its rich, refreshing flavour. In fact, it’s one of Analog’s most popular tea types! It’s also a great way to kickstart your weekend walk around University District or keep you warm as you explore nearby Nose Hill hiking trails. After dinner treat: Mint tea. If you’re looking for the perfect healthy post-dinner treat, put the kettle on! Ending your meal with mint tea hits the sweet spot without adding any extra sugar to your meal. It makes for a wonderful after dinner ritual that will help you relax, connect with loved ones and boost your health by helping digest your evening meal! Need even more help with that food-induced stupor that often follows a big meal? Grab a to-go thermos and enjoy a leisurely stroll along the river path at neighbouring Edworthy Park. Chamomile and Rooibos are two of the most beloved teas around the world, known for their stellar reputation for soothing and relaxing the body. Go ahead and steep some yummy teas and enjoy some well-earned zzz’s! 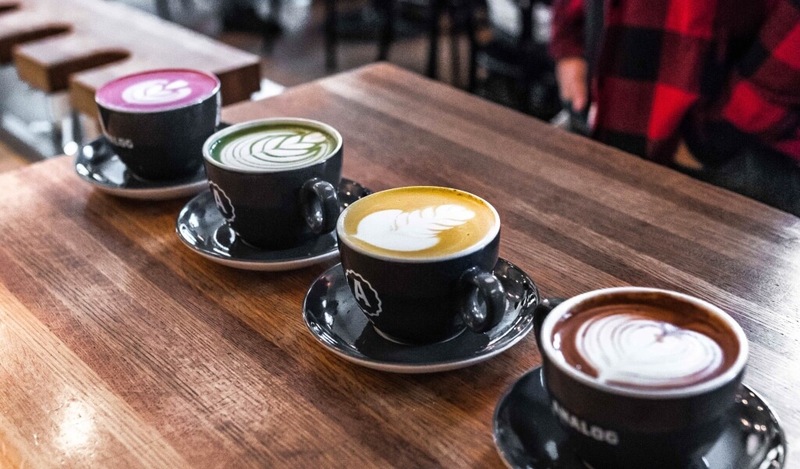 From a cozy London Fog to a glowing mugful of turmeric golden milk – when isn’t there a good time for lattes? This creamy and comforting beverage is a play on the classic café latte. Like café lattes they are typically made with steamed milk, only instead of espresso it contains tea. The best part? You can have it hot, iced and with almost any type of tea or topping (hello whipped cream!). Pick up a tea latte for your next puppy-play date at the University District urban dog park, whether during your lunch break or after work. It’s always a welcome addition when catching up with friends while enjoying the view with your latte while the dogs run freely. Retail excitement! Did you know six new retailers will call U/D home? These new retailers, and others yet to be announced, will add new life to NW Calgary’s thriving shopping scene. From Blaze Pizza and Copper Branch to Denim & Smith Barbershops and Curious Hair Skin Body. Interested to find out more, click here! How much tea should you use per cup? How much is too much? When measuring how much loose-leaf tea to use per cup, the general rule of thumb is one teaspoon per cup of tea. 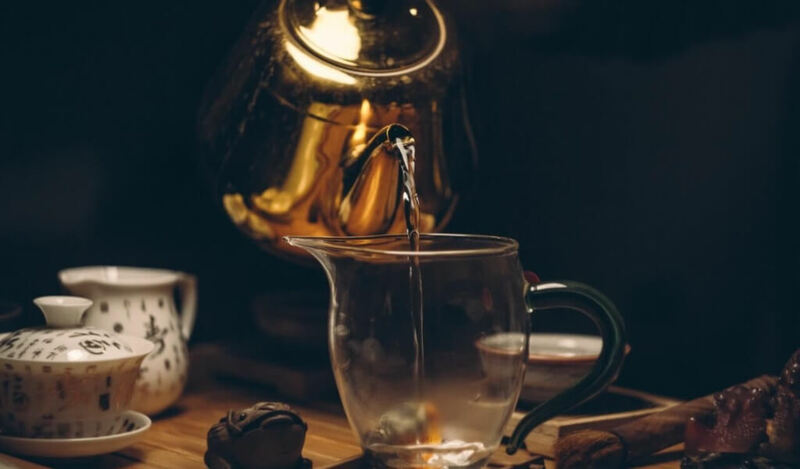 Of course, there are other factors – like water temperature and steeping time – but using the right amount of tea per cup is the first step to making a delicious cup of tea. As you brew tea more often, you’ll begin to experiment with the quantity, temperature, and steep time to brew a cup that suits your taste. Avoid making tea in the microwave – use a kettle! Microwaves, as convenient as they are, simply don’t give us control over the temperature of the water, so use a kettle! 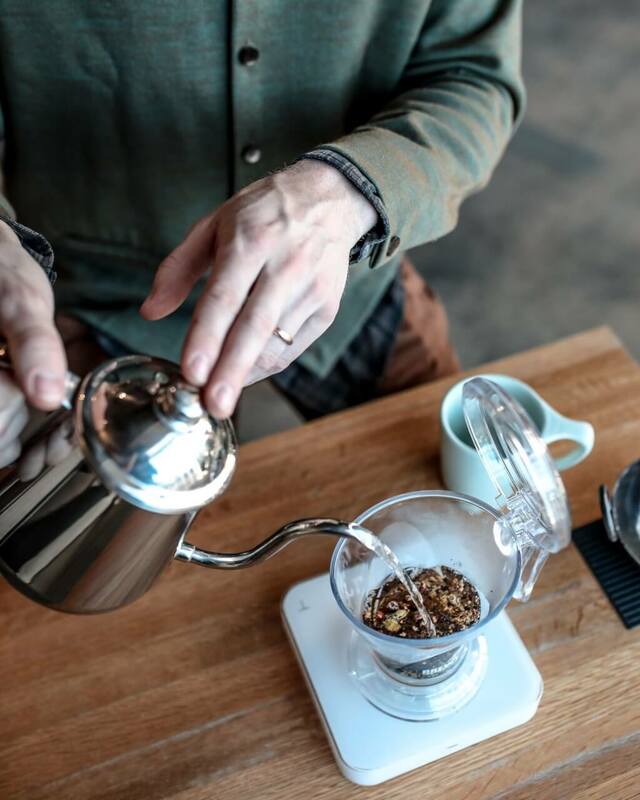 From fancy electric kettles with all the bells and whistles to standard stove top models, there is no right or wrong type of kettle when it comes to brewing tea. Ultimately, the amount of time you steep your tea depends on the type of tea you’re brewing. To strike the right balance, consider one level teaspoon of tea leaves or one tea bag for every 8-ounce cup of heated water. If you like your tea stronger, don’t steep it longer. Infusing your tea for too long will result in some bitterness. Instead, add an extra tea bag of more tea leaves! For steep times, check out our step-by-step instructions on brewing the perfect tea (see below). If you love tea that is rich in flavour and aroma, then a tea bag is definitely not your cup of tea. Loose-leaf teas are often fresher and the taste is much more flavourful compared to most pre-bagged crushed teas. Tea bags are more convenient, but what you gain in convenience you lose in taste and quality. For Sam Lau, calling U/D home is a natural fit! 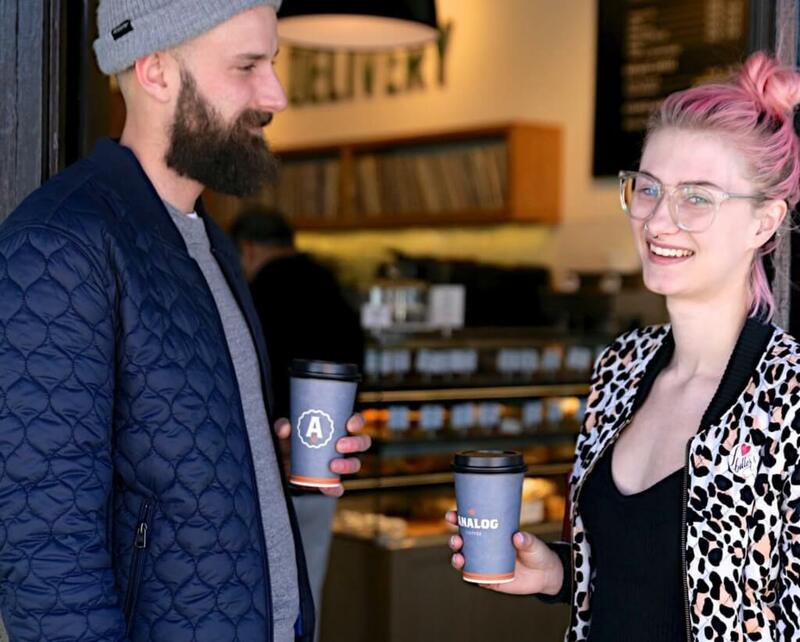 It’s a community where he can explore by foot or bike to find hidden gems or walk to the nearby local coffee shop (Analog Coffee opening in 2019) on the way to Market Mall for an afternoon of shopping. Meet Sam and read his story to learn about his views on being one of the first residents of U/D, downsizing, being neighbourly and what he loves most about living in our age-inclusive community. If you’re new to the world of tea, unsure of how to brew it or how to become better at brewing tea, then you’ve come to the right place! 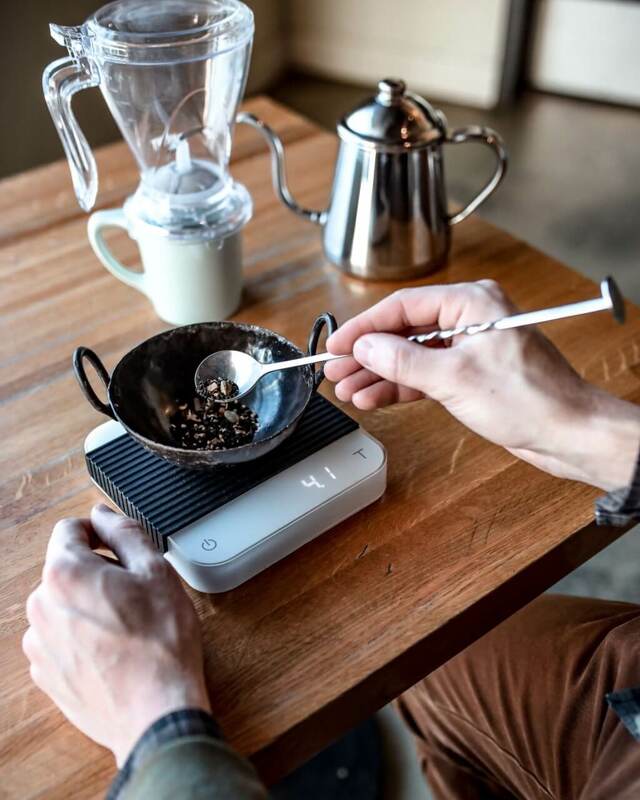 Once you’ve decided what flavour of tea you’d like to brew, it’s now time to put it all together with this step-by-step guide using Analog Coffee’s BrewT tea program. There really is a science to brewing tea! First, heat your desired quantity of water (12oz or 16oz) to the correct temperature. Remember, black teas can be rather hardy in general and can stand hot water that is between 198F to 204F. White and green teas are more delicate and should be steeped with water that ranges between 175F to 180F. Measure, measure, measure! Always measure your tea leaf-to-water ratio. Remember every tea requires a different weight for ideal flavour and strength but the general rule of thumb is one teaspoon per cup of tea. Need some extra help? See below for ideal measurements. Introduce tea and water! If you are brewing green tea, add the tea to your water (pouring it on top). If you are brewing black of herbal tea, add the water to your tea. Dispense, serve and enjoy! 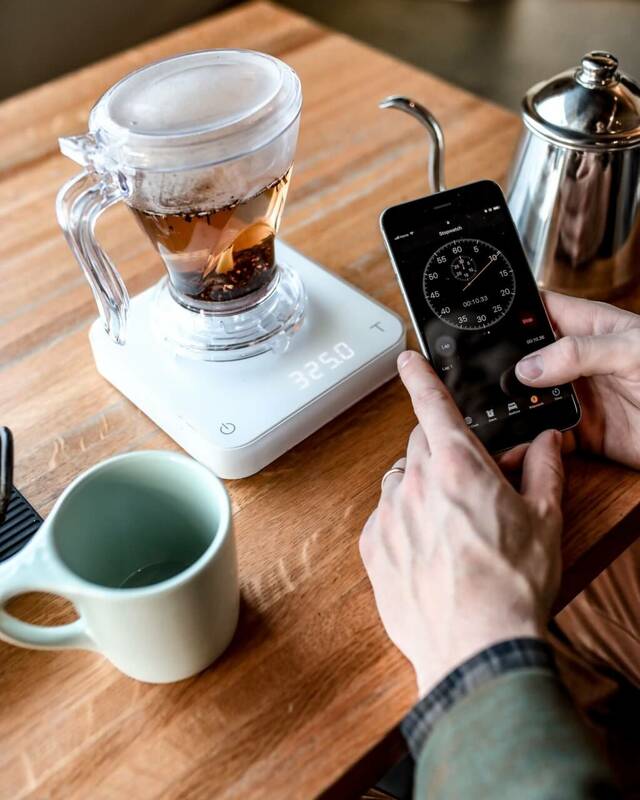 Analog Coffee’s BrewT features a dispense-valve at the center base of the unit. Simply press up on the base of the unit by place it atop your empty service vessel. 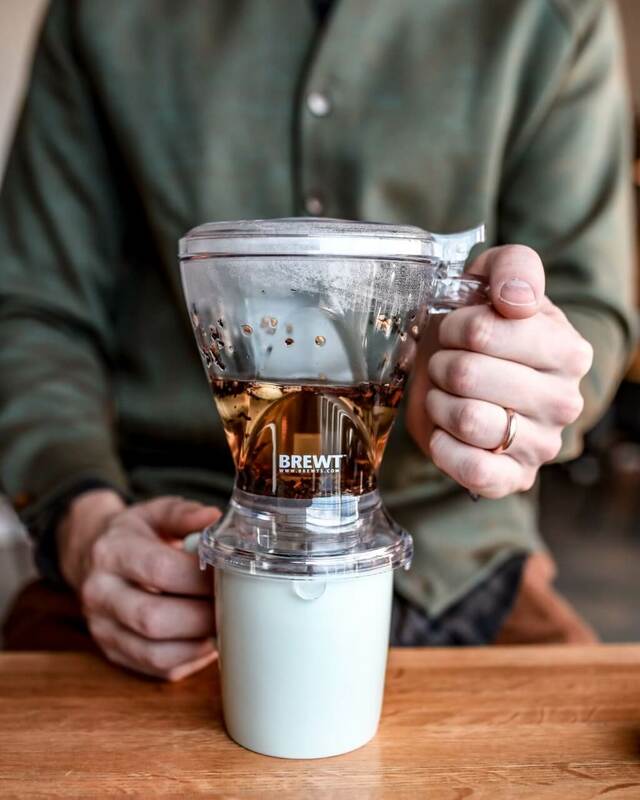 Make sure your vessel size exceeds the quantity within the BrewT to avoid overfilling. Tea somehow tastes better in a bone china teacup or your favourite ceramic mug, so find a favourite vessel to enrich your ritual. Don’t over boil the water or it loses some of the air and hence flavour in the tea. We had a hard time ending the debate about whether to point or tuck your pinky finger as you sip. What rule of etiquette do you follow? Have a topic or blog idea you want us to write about? Have a neighbour or community leader we should profile? Share your suggestions with us on Facebook, Instagram and Twitter.